Unlock our most advanced features to deploy post-click experiences at scale. Accelerate your success with a dedicated Customer Success Manager and team. Our Enterprise Solution includes a powerful suite of features to help you build, optimize, and personalize landing pages at scale to increase conversions. Every enterprise account will include our entire portfolio of powerful features to improve your conversions. Build fast-loading, mobile-responsive, pixel-perfect pages, with mobile aspect ratio locking and section regeneration. Optimize your pages for conversions by analyzing visitor behavior, then creating variations for more precise A/B testing. Integrate with third-party platforms: WordPress, Marketo, HubSpot, Google AdWords and Analytics, and more. Get live chat and email support from the highest rated customer success team in the industry. I don’t see a native integration for XYZ platform, is there a way to integrate with it? Instapage forms can be integrated with any platform that has an API endpoint that we can connect to via webhooks. If you already have pre-built forms in a separate platform that you’d like to use, those can typically be embedded on Instapage landing pages with html. In both instances, your Dedicated Customer Success Manager will be able to assist with getting your integrations up and running smoothly. Can I test all of the product features during the trial or are there limitations? Global Blocks and AMP are not available with the 14-day free trial. Please contact your sales representative, who can provide you with a comprehensive demonstration of both features. What are the page limits for an Enterprise plan? Enterprise customers receive custom limits on pages, traffic, team members, and subaccounts. Contact your sales representative to put together a plan that fits your specific needs. What are the traffic limits for an Enterprise plan? How many team members are included in an Enterprise plan? Can I connect my Instapage account with data analytics platforms like Optimizely, VWO, Heap, Mixpanel, etc.? How can I transfer my current landing pages to Instapage? Instapage can import existing landing pages for our Enterprise customers, via our Professional Services team. Please connect with your sales representative to discuss quickly getting your pages imported. What role does a Customer Success Manager have on my account? What services does your Professional Services team provide? 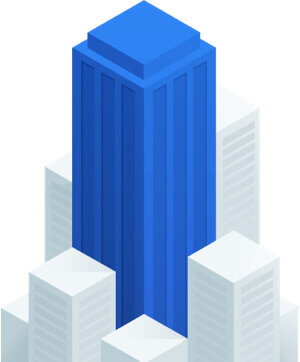 Instapage Professional Services can provide landing page migration, landing page creation, A/B test administration, and custom feature implementation. Please connect with your sales rep to discuss how you our Professional Services team can help you. Where can I learn more about GDPR and Instapage? For all things GDPR-related, please see our GDPR FAQ page. If you need custom DPAs or other addenda completed, please contact your sales representative. Is it possible to prevent Instapage from storing our visitor data? All visitor data is encrypted, so Instapage will never have access to your actual visitor data. If you prefer that Instapage does not store any visitor data, Enterprise customers may set up a direct lead-bypass, where their forms will directly integrate with their CRM (or other integrated platform). This bypasses Instapage servers completely, so no visitor data will be accessible within Instapage to anyone.